ISEG has created the first ever Capital SuperHighway for capital markets, and for companies who are in any way connected to capital markets. The Capital SuperHighway is all of the services you would need as an early stage company just coming off your first round of financing. We offer all the products and services you need to navigate capital markets with your early stage company. From reporting to investors, putting out news and announcements right through to digitizing stock, containing your share holder register, and promoting your company. 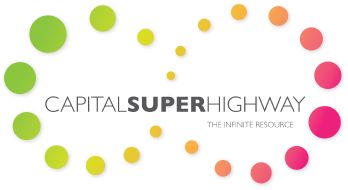 The Capital SuperHighway is the first and only online ecosystem, combining a proprietary technology platform and value-added services to fill the gap for crowdfunded and other early-stage companies internationally. We want to support companies and reveal gaps they have, not only in terms of capital, but also in people and services. We offer guidance on how the market works and how to layer in the next round of financing allowing them to avoid the frustrations of stop-starts in raising capital. We have developed a series of services which have now been digitized into a suite of online tools to assist growing companies at every stage of development from idea to exit. This suite has become the Capital SuperHighway; a fast track where young and developing companies can flourish using proprietary value-added services. These powerful tools are provided by partners such as MobileNDA, Program for Equity, IPO Bidder, MaximumOne and Agent NED and give the company guidance, support and a smooth route to the capital they need to be successful and effect growth. A cookie is a small text file which allows websites to see which pages visitors are using the most, and to give a better browsing experience by tailoring information to meet users’ needs. Cookies will only be placed on your computer’s hard drive if you consent to them being so. This is usually done through your internet browser’s privacy settings. A cookie does not give access to your computer or to any information about you, other than the data you choose to share. First party cookies are owned and created by the website you’re viewing. Third-party cookies are owned and created by an independent company, usually a company providing a service to the owners of the website.